In an interaction with Restaurant India, Raymond Andrews, Co-Founder, Biryani Blues shared his passion for entering into food business. Working with companies like Max New York Life Insurance Co. Ltd, Bharti Airtel Limited, Onida (MIRC Electronics Ltd.) Rayomnd Andrews who always had a passion to do something of his own co-founded the company Biryani Blues with his wife Aparna. Today, the husband-wife duo has opened around 10 outlets in the region. When and what was the idea that made you open Biryani Blues? My wife and I both were working with the financial service agency. The restaurant was started in March 2013 before that we tried a small catering but the margins were very low and hence we thought of doing something else. Coming from Hyderabad we really missed the original Hyderabadi biryani in Delhi-NCR. If somebody really likes to have the piece of Hyderabadi biryani they either order it via courier or fly down to Hyderabad to taste the biryani. We wanted to do the business from very long time. Our passion for food and the fact that we are from Hyderabad made us open Biryani Blues. How the first restaurant came into existence? We identified a small location at Gurgaon Supermart to serve food and we were clear that we wanted to do large business. We invested in building technology, commissary, central kitchen and ERP to manage our orders and all. What is that one thing which makes your customers come back to you? I think the first and foremost thing that a customer would look in is value for money. And, I believe we are one of the best in that segment. We are always been an economy brand and not a cheap brand. We are a brand that gives value for money to the customer. We buy best quality ingredient and the processes we use is high quality capex. We have invested a lot in it so that our end customer is getting the best products. What is your repeat rate of customers? On a two month note our repeat rate of customer is around 40 to 45 per cent. In dine in its very difficult to say which customer has re-visited you. Now we have started tracking people on wi fi so that when the number is registered with the wi fi access we are able to analyse and keep a tab on the footfall. Why is it difficult to track customers during dine in? During dine in people generally come to chat with friends discuss on a meeting and food is the side thing. 90 per cent of our diners come and go and we don’t know who they are? We recently opened Aerocity Vasant Kunj, we will be soon opening Malvia Nagar in next few weeks. We are poised to give the same standards at all our outlets. 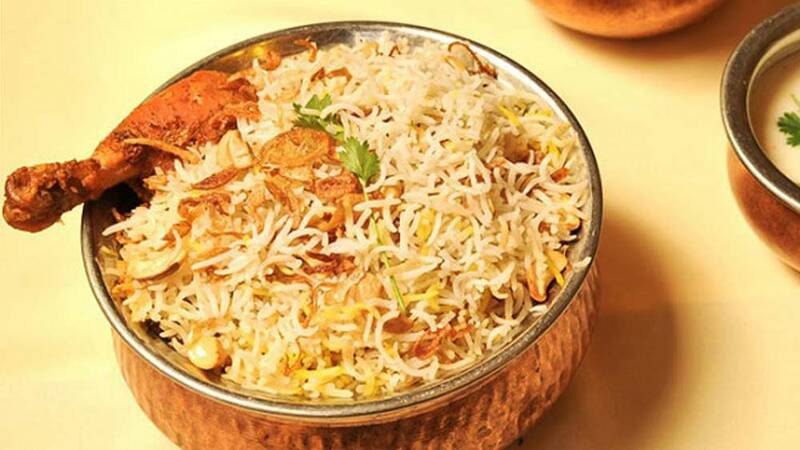 Though we have kept lots of menu from Hyderabad but our focus is on Biryani. What is the daily order that you get on an average? Now, with 8 restaurants we do 1000 orders a day that makes a net sale of Rs 1.3 to Rs 1.4 crore sales. Our focus is to grow delivery as we are a QSR restaurant. Our end target is if somebody wants to have biryani in Delhi-NCR he should be able to get it delivered within 30 minutes. What is your way ahead? We have got private equity funding and one of the senior person is on board now who is the ex CEO of dominos India and has brought lot of value to run a business especially in a delivery model. We are very careful in which place and what location we open so that we have breakeven at each store. What is your plan taking your brand to other regions? We are Delhi NCR focus brand and we are focused to build this market first as 25 per cent of India’s restaurant revenue comes from this market. We want to open at least 30-35 outlets in Delhi alone. Time limit depends on how things work. We won’t open a more than a few outlets in a quarter. What is your unique marketing practice? We are targeting only social media as marketing though we did one or two radio ads to promote the brand and the outlet location. We don’t spend too much on marketing, its word of mouth publicity that we believe in. Taking you through the Armenian delights..